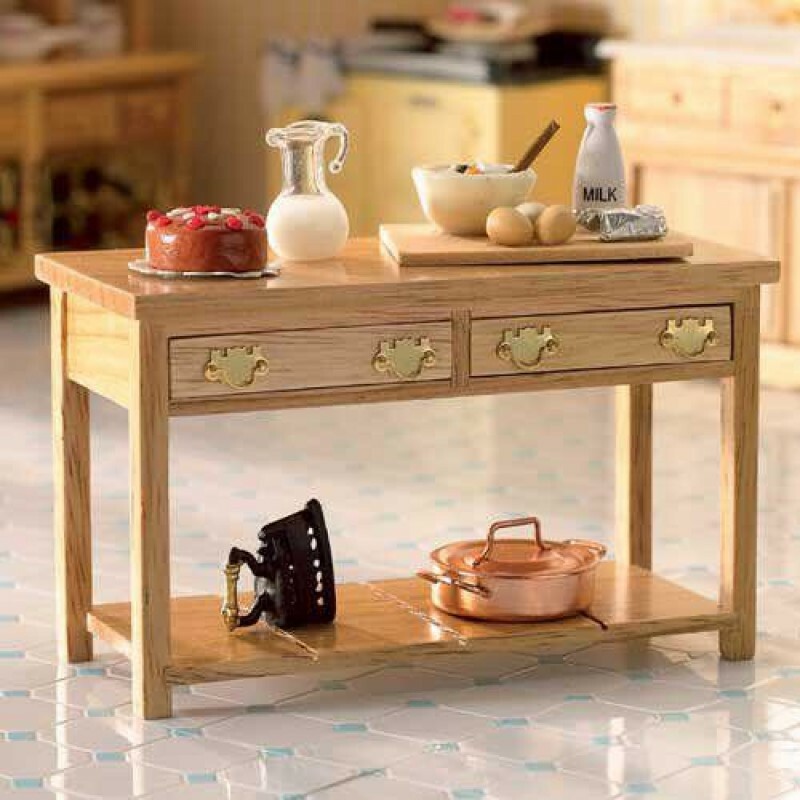 Victorian kitchen side table featuring two drawers and floor shelf. This item has a clear lacquer finish. Please note that drawer handles may vary from image.